Africville, now an historic site located in the North end of Halifax, was once home to black settlers from all over the world. Families began settling in Africville by 1838 and by 1867 the name “Africville” was well established. Africville was the centre of the Nova Scotian Black community for 130 years. The Seaview African Baptist Church was formed in 1849 as a symbol of new beginnings. It was the soul of the community, with regular baptisms held just outside the church. Ariel view of Africville (Bedford Basin) You can clearly see the modern day Seaview Baptist Church located on the water front. 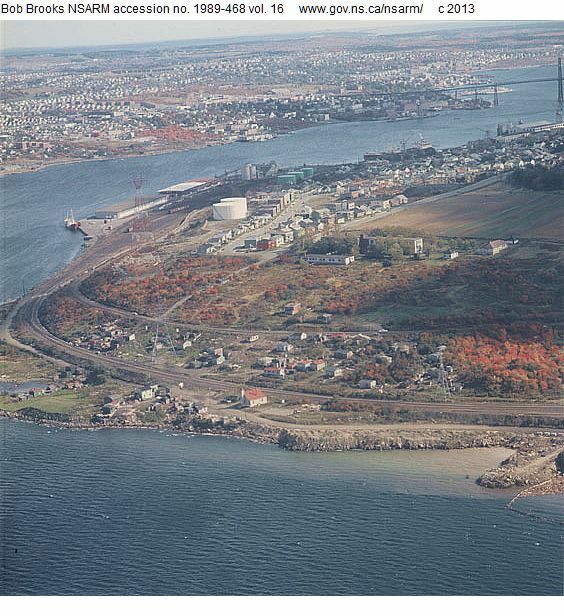 Once the city of Halifax began to develop, Africville’s cheap land became increasingly appealing as potential industrial land. As early as the 1860s, the Intercolonial Railway, later the CNR, running right through the community. Located on the Bedford Basin, Africville was surrounded by Rockhead Prision, an infectious disease hospital, a Trachoma hospital, a bone mill plant, slaughterhouses, a cotton factory and a toxic dump. In 1962, the Halifax City Planning Board decided to redevelopment of Africville. Albert Rose, a Social Work and Welfare specialist from the University of Toronto was sent to review and examine the community, which resulted in what is now referred to as the “Rose Report” written in July 1962. The Rose Report covered the depressed housing conditions in Africville as well as technical issues surrounding cost and the welfare problem evident in the community. The Rose Report recommended the expropriation of Africville to commence April 1, 1964 and be completed by December 31st, 1966. Members of the community as well as care-takers at one of the many meetings discussing the relocation. A. Alan Borovoy, the Human Rights Director of the Canadian Labour Congress, met with community residents as well as caretakers, some of whom were white, to discuss their rights. The caretakers collected technical information as well as offering advice. Black caretakers were most concerned with the issues of discrimination. The meetings and discussions held in the Seaview Baptist Church resulted in a white-black political alliance to defend the community that became recognized throughout Canada. After a meeting in August 1962 the Mail Star reported that the desire to remain in the community was unanimous. The Seaview African Baptist Church, perhaps the most important building to the community, was the first building to be demolished. One day in 1969, residents simply woke to a cleared plot. Where for 120 the church had stood was not now only scattered debris. Without their church and meeting hall residents began to agree to relocate. Demolition of their homes and properties followed so quickly that many families did not even have a chance to salvage furniture or family artifacts. By January 1970, Africville residents were scattered throughout Halifax, with small concentrations in Uniacke Square and Mulgrave Park. Robert Grant, City Development Officer, noted in the NFB film Remembering Africville that these areas were originally “scheduled for ultimate demolition, but as an initial move they were basically better than the accommodation in the Africville area.” With relocation came a host of new problems for both youth and their families. Former Africville residents have not forgotten their small community. 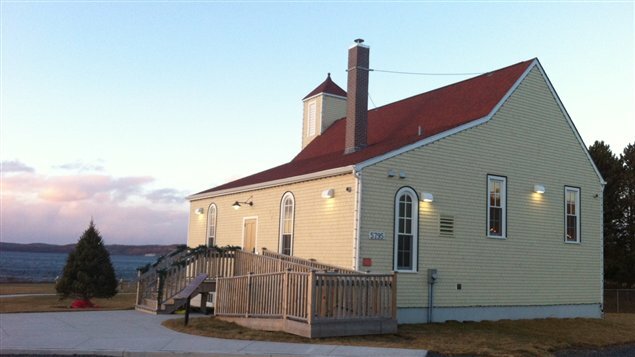 The Africville Genealogy Society was established in 1983 and succeeded in having Africville recognized as a national historic site. Later a park was created, followed by the reconstruction of Seaview African Baptist Church. Recently, the Halifax Regional Municipality publicly apologized to residents and their descendants. They no work along side the Genealogy Society in remembrance of such a meaningful community. Although, not all resources have been directly used in this paper all have been helpful in the preparation. Halifax Regional Municipality , “Halifax Regional Municipality .” Last modified February 24, 2010. Accessed November 6, 2013. http://halifax.ca/Africville/apology.html. Africville Genealogy Society , “Africville- The Spirit Lives On.” Last modified December 16, 2012. Accessed November 6, 2013. http://www.africville.ca/society/media.html. “Remembering Africville” Recorded 1991. National Film Board of Canada. Web, http://www.nfb.ca/film/remember_africville.